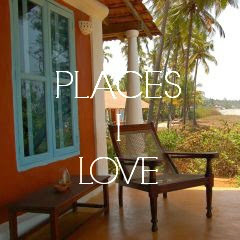 Finding the perfect beach hideaway in Goa is a challenge... But Elsewhere is like nowhere else. 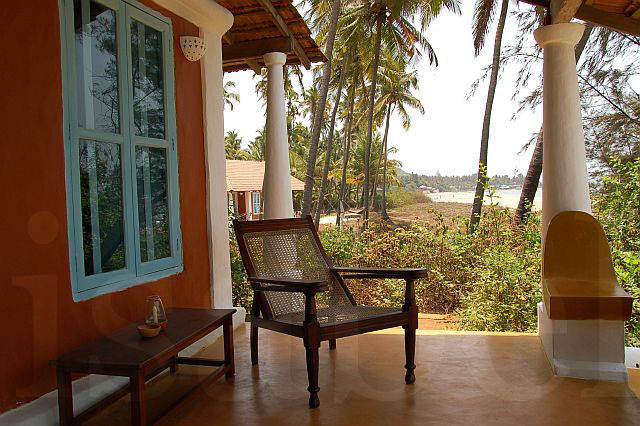 This beachside hideaway is made up of four old beach houses surrounded by untamed nature with a private beach. 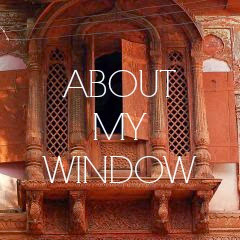 My description of it below is an excerpt from an article I had written on luxury travel to Goa for a magazine distributed on private jets. 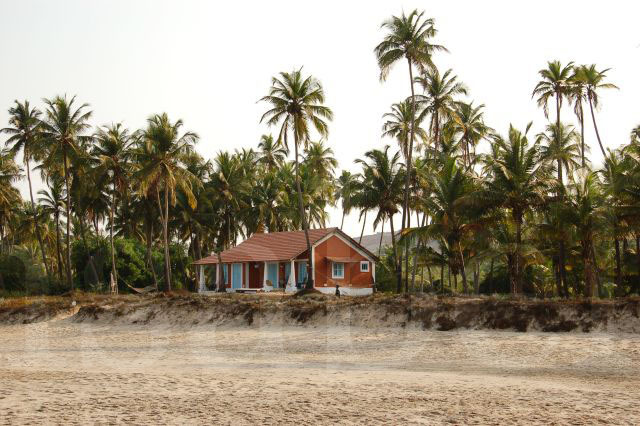 Goa's peak season for beach lovers is November to March when days are sunny and dry. With many beaches becoming increasingly congested, Elsewhere is the perfect hideaway for those looking for some peace and privacy. 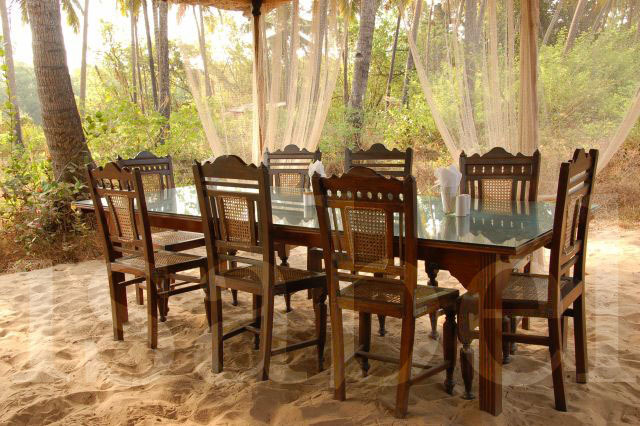 Located on a spit of private beachfront naturally isolated between the ocean and a salt-water creek, this is one of the most unique and exclusive places to stay in Goa. Privacy is perhaps the ultimate luxury. Here it is of utmost importance, as many of Elsewhere’s high profile guests include famous authors, royal families and Bollywood and Hollywood stars – this is where Brad Pit and Angelina Jolie holidayed with their kids. 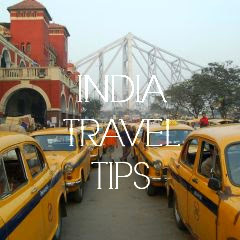 Elsewhere’s exact location is kept secret, revealed only at the time of booking. A bamboo footbridge leads across the creek and into what seems like another time and place. This slice of paradise belongs to Denzil Sequiera, a photographer who inherited it from his uncle. He could have easily cashed in on the tourism boom and sold out to developers. 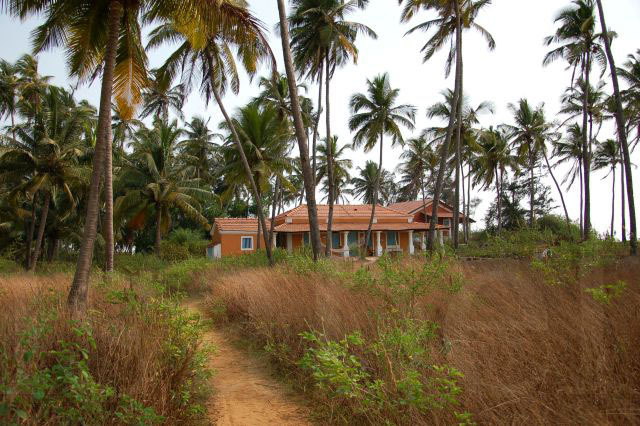 Instead he decided to preserve this small piece of ‘real’ Goa before it disappears completely. He has saved not only the old colonial-style houses, and pristine undeveloped beachfront but also the natural habitat of the local wildlife. The ambience here is one of rustic charm and untamed nature. The four old beach houses have been lovingly and tastefully restored offering all necessary comforts with no added frills, because they are not needed. There is no room service, but each house has a refrigerator full of drinks and delicious home-cooked meals are served in the delightful open-air dining area. At Elsewhere you feel like a privileged guest at a friend's summer hideaway. The private beach is almost empty, indeed a luxury in Goa. Staff can arrange a morning trip to see dolphins on The Solita, a luxury yacht, or a romantic dinner cruise at sunset. The yacht can also be chartered on a daily basis for longer trips to see the 18th century Tiracol Fort, the magnificent cathedrals and churches of Old Goa, a UNESCO World Heritage site, and the charming capital of Goa, Panjim.